High quality simple and easy to use. You can place this in your car dash board. The stand has been developed to fasten electronic devices such as GPS, mobile devices. The silicone pad provides a smooth and flat surface which can be adhered to the flat back surface of the supporting object. The performance may vary depending on ambient conditions and surfaces of the object. Devices having smooth and flat back surface are recommended to this conditions and surfaces of the object. Features.Size:127*236*40mm. Color: Black, Weight: 187g. Xenda(TM) Phone Stand. Easy to install, no other tools needed. 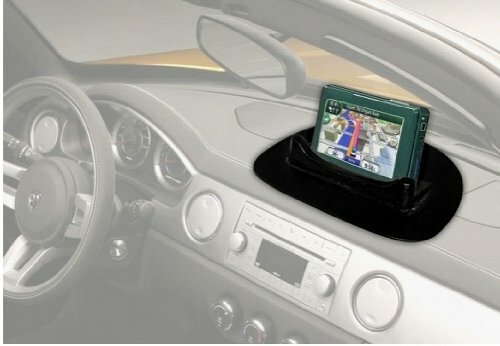 Ideal item for holding your devices within your vehicle or home. The stand has been developed to fasten electronic devices such as Mobile Phones, Ipod, Iphone. The design is simple, effective, easy to use and shock absorbent. The Holder doesn't use adhesives or magnets. It utilizes special rubber to fasten electronic devices securely. Suitable for fastening devices of all shapes and surface. If you have any questions about this product by Xenda, contact us by completing and submitting the form below. If you are looking for a specif part number, please include it with your message.